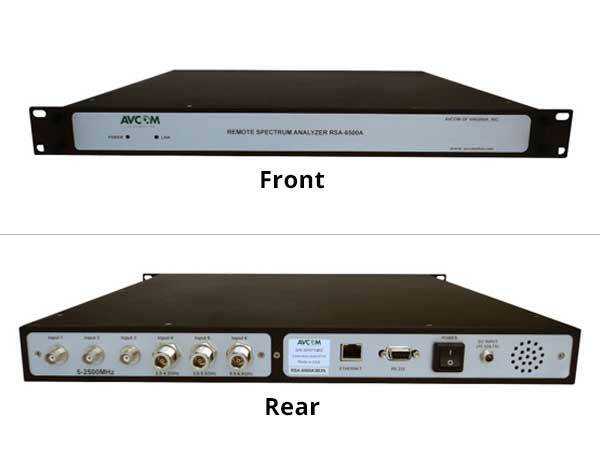 Whether you are doing a satellite installation, troubleshooting a CATV or broadcast system, setting up a remote telemetry system, trying to locate a threatening jamming device, or locating eavesdropping devices, the AVCOM PSA-2500 Extended Series has something to offer. 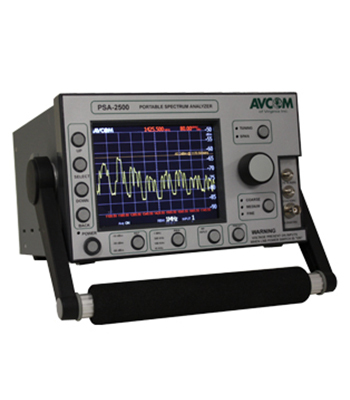 Designed for the teleport, oil and gas, maritime, broadcast, military, TCSM, and wireless community, the PSA-2500 Extended Series is compact, portable, lightweight, affordable, and high value price point for quick and precise signal investigations. 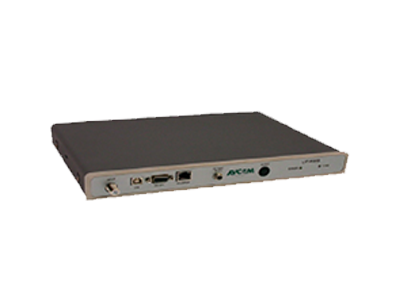 For technicians demanding a greater range, AVCOM’s PSA Extended Series goes up to 14.5GHz. This will allow the TV broadcasting engineer to troubleshoot directly at the C-Band, and also allow troubleshooting of the 5.8GHz video/audio signals that HD wireless TV cameras use, or the 5.8GHz band that many WLAN 802.11a devices now use. 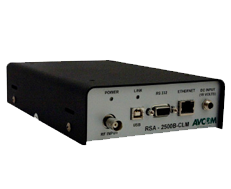 The PSA-2500 Extended Series can be monitored and controlled both locally from the front panel and remotely using the Avcom Remote Control Software via serial port or Ethernet. The Remote Control Software has an intuitive user interface that is easy to use with no special training required. It allows remote monitoring and control from your network or over the internet. Features include screenshot capture recording, SNMP for alarm/monitoring, markers, and Automated Data Acquisition (DAQ) with tolerance comparison and integrated email alerts, to name a few. Up to twelve windows can be displayed at one time. The GUI is capable of saving and recalling an unlimited number of screenshots and integrates with the PSA-2500 Extended Series to upload or down- load saved waveforms from the analyzer’s internal user memory locations. The Remote Control Software is available for Windows, Mac, and Linux. Click here for more information about the power supply provided with this unit.